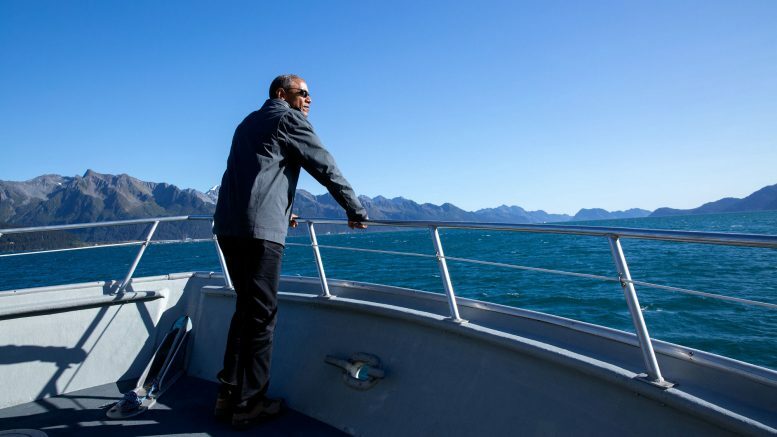 Former President Barack Obama has endorsed two Alaskans running for the Legislature: Rep. John Lincoln for his first election in House District 40, which covers Northwest Alaska and the North Slope, and Andi Story for House District 34, Juneau’s Mendenhall Valley district. The endorsements were among about 260 that the former president released in his second wave of midterm endorsements via Twitter. He’s endorsed more than 300 candidates including both federal and state races. While Obama’s endorsement might not carry weight in all parts of Alaska, both Story and Lincoln are running in districts that were won by Hillary Clinton in the 2016 election and Obama in the 2012 election. Story is running against Republican Juneau Mayor Jerry Nankervis after winning the Democratic primary against independent Rob Edwardson. Lincoln was appointed to his seat this year after the resignation of former Rep. Dean Westlake. Lincoln has no Republican opponent, but two candidates, Leanna Mack and Patrick Savok, are on the general election ballot through nominating petition. Part of a grander plan? Obama has made no secret that a big part of his post-president plan is to tackle gerrymandering in order to reverse GOP advantages that were carved out by Republican map drawers in recent decades. Though it hasn’t been a central focus of this year’s election cycle, yet, it will be one of the major, long-lasting impacts from this general election. The five-member redistricting board is filled with one appointment each from House speaker, the Senate president and the chief justice of the Alaska Supreme Court while the governor gets two appointments. The makeup of the board will be determined by Sept. 1 of 2020, meaning it’s this year’s election that will determine the makeup of the board. In order to keep the House in the hands of a Democrat, both House District 34 and House District 40 are key seats and have histories of electing Republicans or Republican-friendly Democrats. Be the first to comment on "Obama endorses Democratic legislative candidates Lincoln and Story"